By buying this product you can collect up to 117 loyalty points. Your cart will total 117 loyalty points that can be converted into a voucher of 35,10 €. 1 171,96 € tax incl. A feed to be fed after an intense muscular effort, a stressful/traumatising event, or on the day of a competition in endurance horses. Easily assimilated energy sources to rapidly reconstitute the muscular and hepatic glucose reserves consumed during effort. Contributes to the rehydration of the horse when fed soaked. Limits the occurrence of digestive disorders. Contains dehydrated carrots, an appentancy enhancer. Flaked barley, Flaked oats, Flaked maize, Flaked peas, Dehydrated carrots. After Racing or working session : 1.2 to 1.6 kg (3 to 4 L) per feed mixed to 1.5 to 2 L of water. Following a long transport : 1.2 to 1.6 kg (3 to 4 L) per feed mixed to 1.5 to 2 L of water. 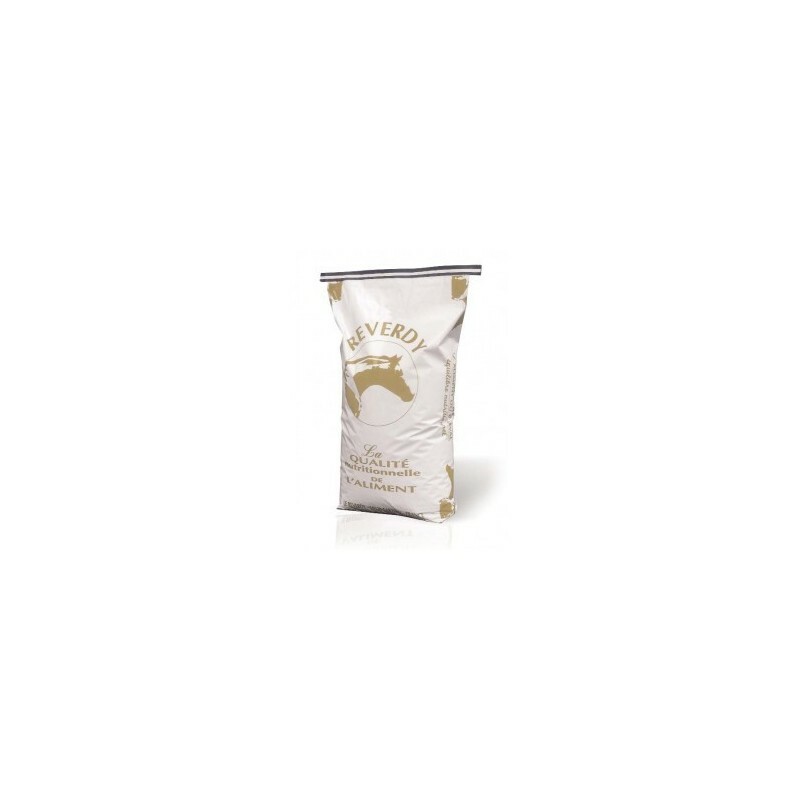 After foaling : 1.2 to 1.6 kg (3 to 4 L) per feed mixed to 1.5 to 2 L of water. During an endurance competition : 0.4 to 0.8 kg (1 to 2 L) per feed mixed to 0.5 to 1 L of water. These recommendations are based on the requirements of a 500 kg horse. 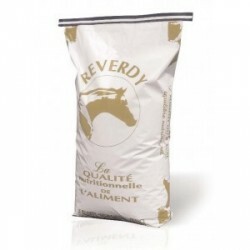 Feed REVERDY MASH once the water has been absorbed by the flakes.